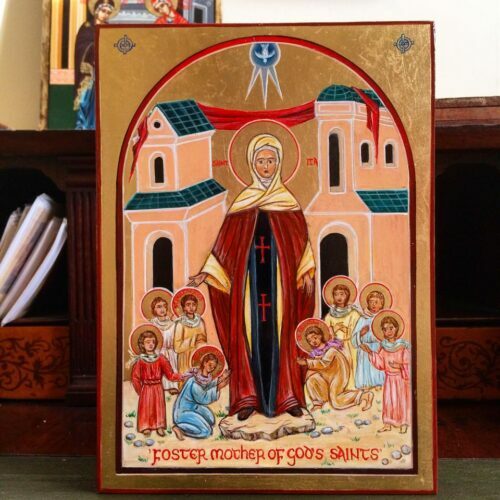 This iconographic project aims to provide the opportunity to purchase hand-painted icons of the Celtic Saints at the most affordable prices. We are working on a series of icons painted in the same manner, having the same dimensions and careful to preserve a common composition through all of them. 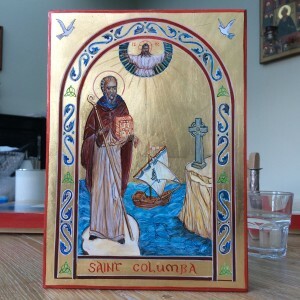 Each icon in the Series is personalised using a wealth of Celtic elements, such as specific details taken from the life of the depicted Saint and symbols of the Celtic Christian tradition. 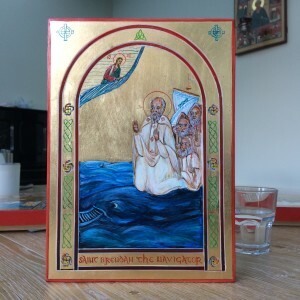 When you order an icon from this Series, you will receive a hand-painted copy of that particular image. For original compositions, see our ‘Commissions’ project. All icons are hand-painted on natural wood boards, and double reinforced for longer life. 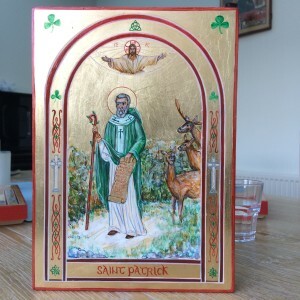 Because of their common composition and the richness of their cultural details (which can be used to tell the ‘story’ of the Saints), these icons are ideal for Churches that want to own a series of icons of the Celtic Saints, and for families who celebrate several Celtic Saints because of their ancestry. The prices shown do not include shipping costs. Please contact us to discuss these (they vary depending on size, destination and delivery options). As an example, most icons we ship to the US cost between 20 and 26 pounds.